̫Getting out.̦ Now there are two small words with a big impact on the life of a soldier, sailor, airman or marine. Sooner or later, everybody gets out, whether it̠s after a four-year hitch or a 30-year career. In large part, how well you make that transition depends on how well you̠re prepared to make a living. And, we want you to know TSTC is here to help you come up with a plan.Maybe you̠re already out and discovering that landing a good job is a little harder than you̠d like in today̠s economy. 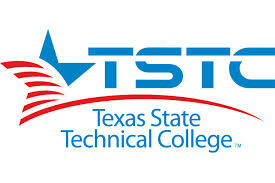 TSTC can help you. Maybe you̠re still on active duty but planning on getting out someday, and you want to make sure your change into civvies goes as smoothly as possible. TSTC can help you. Then again, maybe you̠re a veteran or active duty serviceman or woman happy with the way things are and just want to gain a new skill or brush up on skills you already have. TSTC can help you, too.